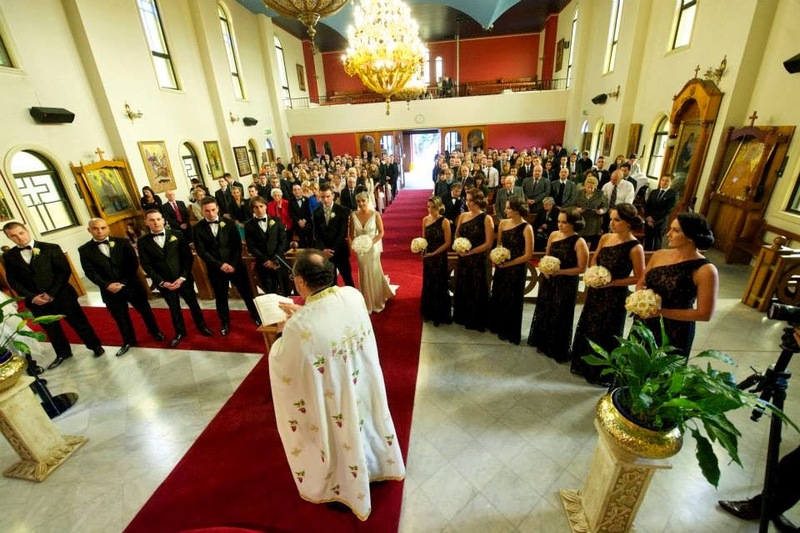 Happy new year and congratulations to all the newly engaged couples over the holiday season. We know there are a lot of you out there! We're kicking off 2014 with a gorgeous vintage themed wedding. 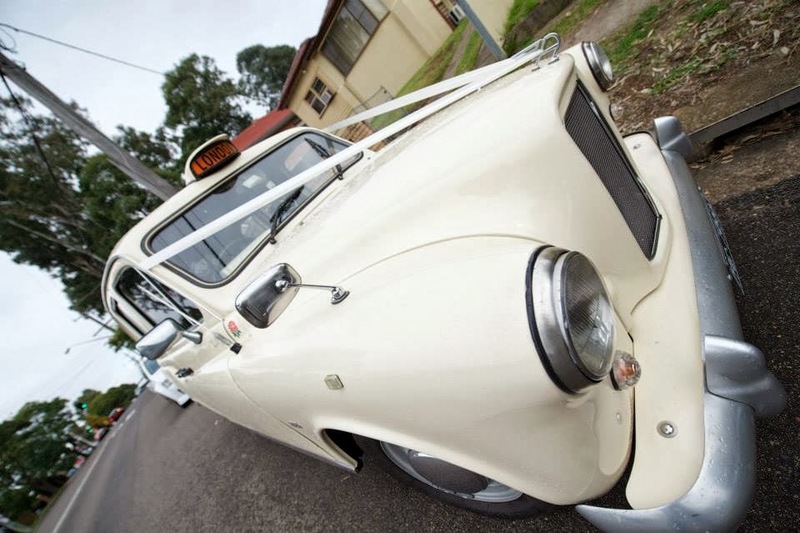 Amie and Dimitri were married in Sydney at the St. Gerasimos Greek Orthodox Church followed by a reception at Sergeants Mess, a gorgeous waterfront venue overlooking Chowder Bay. 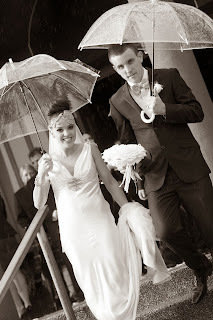 Despite the weather, Amie had a great attitude about her special day. "Our wedding was a rainy day and the funny thing is I only really noticed the rain when I looked back in pictures. 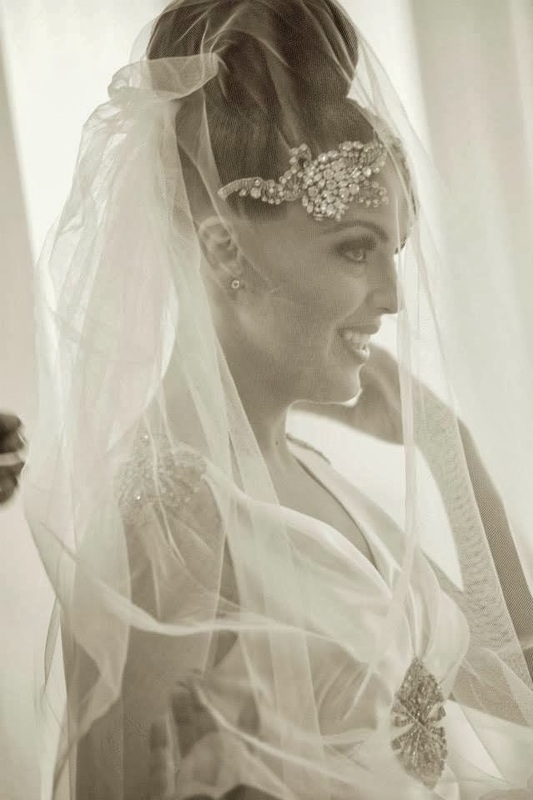 Nothing was going to take away from the fact that I was marrying my best friend and I was getting to share the day with all my favourite people!" 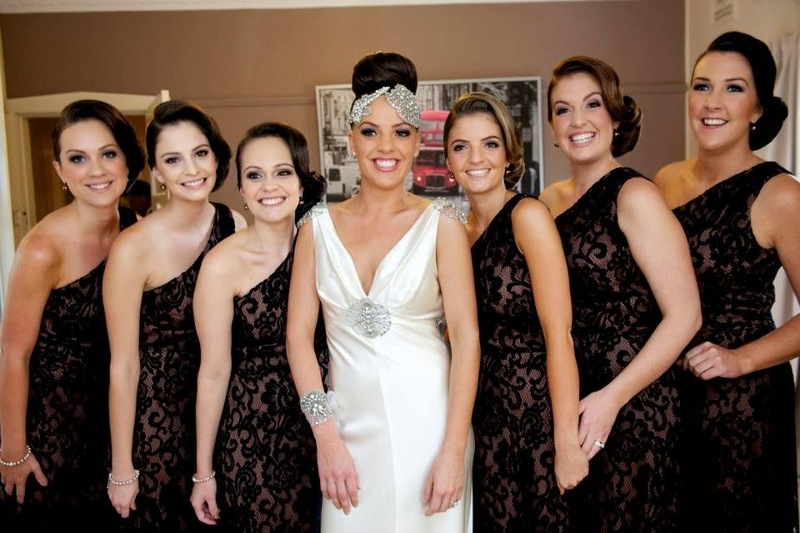 Lace dresses continue to be a popular and stylish choice for both wedding gowns and bridesmaid dresses. 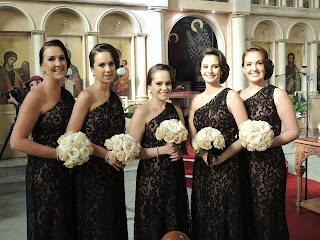 Amie's bridesmaids wore Dessy Collection in Cappuccino with Black lace. 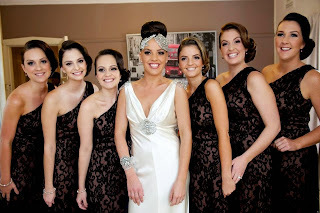 "Thank you Tammy and Julie for your beautiful dresses and your delightful service! 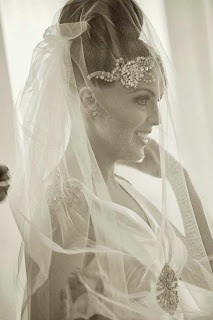 When planning your wedding nothing makes it more special than having amazing people helping alone the way, which you girls more than did." 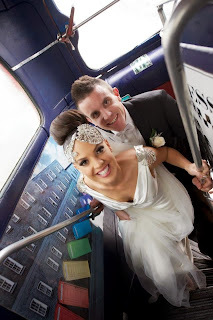 The bridal party used beautiful vintage London cabs to the church and a London bus took them to the reception after. Best wishes Amie and Dimitri. May your marriage continue to be a celebration of your love for each other!